The holidays bring good times with family and loved ones, delicious food, and time to relax and recharge for 2017. It’s a wonderful time of year! 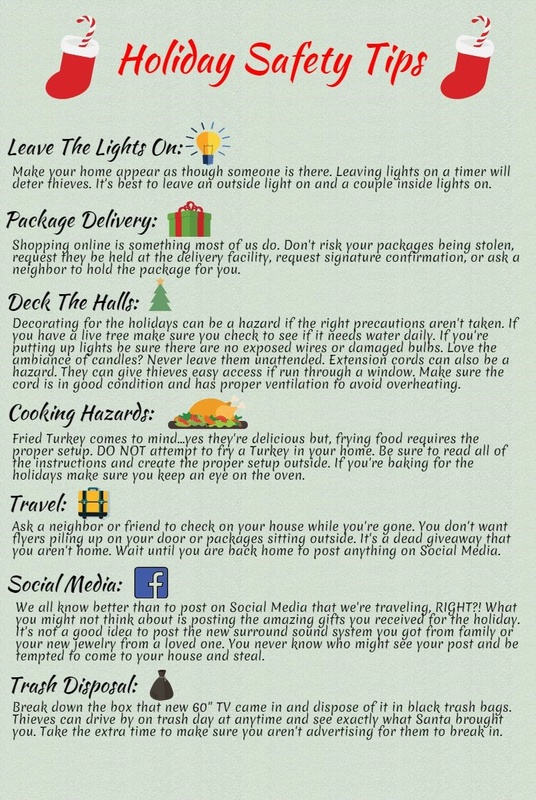 It’s also a time of year that we need to make sure we’re mindful of safety items so that we keep ourselves and our homes safe. Check out these safety tips!